Selling products in multipacks, bundles, or kits can boost sales and unload inventory, but does it work with multichannel selling? The package delivery system in ecommerce allows for the more creative use of collections that isn’t seen much in brick-and-mortar stores. Aside from recommending related products or going for the upsell, online retailers have learned to rethink the way they group, package, or even manufacture their products. There’s nothing wrong with selling one product at a time, but many ecommerce sites have discovered how effective grouping strategies can be on both raising the price-per-order and unloading some unwanted inventory. 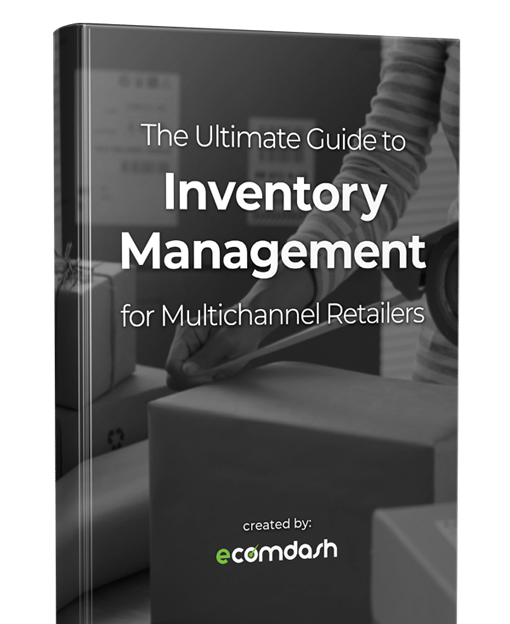 One of the drawbacks, though, is that different seller channels have different guidelines for what types of products can be sold, which can make inventory management confusing for multichannel selling. So, let’s start with the basics and review the different types of product groupings, and how to handle them for multichannel selling. “Simple products” are basic products that you sell one at a time. They’re independent, ship whole, and they have a single SKU. There’s nothing tricky about selling them; they’re the basic standard when discussing inventory. As such, they’re also the building blocks for other types of groupings. Put two simple products together in the same pack and you have a multipack or bundle. Simple products are what you combine to make more effective packages. Variations are simple products that come in different forms, such as size or color. If customization is essential for a product, so is offering plenty of variations. The best way to organize product variations for inventory management is to use a parent-child system. The parent product is the general umbrella product — the one that appears in search results — but is, itself, not for sale. Child products are the different variations, as well as the variations of the variations. So, in the example above, the parent product is a short-sleeve T-shirt, but that is too vague to actually sell. Instead, customers buy a child product: a small blue shirt or a medium red shirt, etc. For product variations, it’s always best to include separate images for as many variations as possible (except for size, because they usually look the same). Not only does this let interested shoppers see the product with their own eyes, but also it informs shoppers that variants exist in the first place. Often, seeing a product in their favorite color attracts their attention more than a line of text. Some products are only manufactured after a product is ordered. These “built products” can save you money on raw materials, but fulfilling the orders on time can be a hassle unless you have an automated system. Built products require a work order request when the customer orders the product. Like kits and bundles, built products can be complicated and difficult to organize. Luckily, also like kits and bundles, the right inventory management software can ensure everything runs smoothly. To see how built products work in ecomdash, watch this quick 2-minute video now. A multipack refers to several of the same simple product sold together as one unit. Why offer multipacks instead of letting customers just up the quantity? Well, it’s strategic. Most multipacks are sold at a slight discount to incentivize shoppers to buy them, creating more demand specifically for products that are having a hard time selling. Usually, a multipack is treated as an additional child product of the relevant parent product. However, each online marketplace has their own way of handling SKUs, listings, and how they’re shipped. While multipacks are collections of the same product, kits or bundles are collections of different products. Products in kits and bundles are almost always related; relevant groups sell better than just lumping together random items. The relation can be practical, such as a toy and its necessary batteries, or thematic, such as a flower-print comforter and drapes. The trouble with selling kits and bundles on multiple channels is that it can be hard to organize them and keep stock listings up-to-date. Shipping can also be tricky if the components are located in different warehouses. For these reasons, it’s best to use online inventory management software to automatically update stock quantities for both the individual listings and the kit listing, not to mention how it facilitates fulfillment. Differentiating the groups of products you offer can be difficult on a single sales channel, let alone when selling on multiple channels. Each marketplace has their own requirements and rules about how you’re able to group your products. For example, some sites allow you to sell multipacks on the parent product’s page, other sites require you to post a separate listing. While your business needs should determine which strategies you use, always be sure to check with the rules for each of your channels before making any final decisions. Unique product identifiers like GTIN, UPC, and EAN are essential to ecommerce, but they can get confusing. This section covers the different types of unique product identifiers and the benefits to including them on your product pages. It’s hard enough to keep track of everything in your own home, how are you supposed to manage multiple warehouses full of inventory — and do it remotely? The best place to start is organizing your inventory using unique product identifiers, the global standard for cataloging products. Product identifiers help keep your inventory in order. They also improve online exposure for your products, and marketplaces around the world require product identifiers to keep track of transactions. So here’s a quick rundown of what you need to know about unique product identifiers, starting with what they are and why we need them. You know those numbers under barcodes on retail merchandise? Those are unique product identifiers, and the number is specific to each product type. That means if you and another store are selling the same products, they’ll have the same numbers. Mostly product identifiers are prescribed by GS1, a global organization committed to creating a “common language” for business across the globe. GS1 developed a group of product identifiers called GTINs (Global Trade Item Numbers), which we explain in detail below. More than just standardizing business transactions, product identifiers also simplify tracking product deliveries, managing shipping logistics, and ensuring the right product gets into the right hands, which can mean life-or-death for industries like healthcare. Be sure not to confuse GTINs with SKUs (Stock Keeping Units). SKUs are used internally by a company to keep track of stock inventory and deliveries. To make it easier to understand, we’ll break up unique product identifiers into two groups: GTINs and Others. GTINs (Global Trade Item Numbers) are the family of product codes developed by the GS1. Although they have their own categorization (by data structure), they’re easier to understand in their four major types, as below. The Other group explains three other product identifiers worth mentioning. UPC (Universal Product Code): This 12-digit code (technically “UPC-A”) is the identifier of choice for the U.S.A. and Canada, but also prevalent in the U.K., Australia, and New Zealand. The Company Prefix, the first set of numbers, can be between 6 and 8 digits, but the final code always has 12 digits. EAN (European Article Number): Also known as “International Article Number,” this 13-digit code is used primarily outside of the U.S.A. and Canada. JAN (Japanese Article Number): Used exclusively in Japan, this code often follows the EAN 13-digit format, but sometimes uses an 8-digit format. ISBN (International Standard Book Number): A product identifier used only for books, at least those published after 1970. While the original version contained 10 digits (“ISBN-10”) that form was deprecated in 2007. The 13-digit format (“ISBN-13”), which typically starts with 978 or 979, is preferred today. ISSN (International Standard Serial Number): The ISSN is similar to the ISBN, except for periodicals like magazines, newspapers, or journals. However, unlike ISBNs, ISSNs do not contain information about the publisher or locations and have to be redone whenever the serial undergoes a significant change. MPN (Manufacturer Part Number): These identifiers are used internally by manufacturers to keep track of individual parts. Because they’re exclusive to the manufacturer, different companies will use different MPNs even if they make the same part. Furthermore, retailers are free to ignore the MPN and incorporate an original identification number to coincide with their record-keeping system. Brand: The most basic product identifier is the name of the brand, often used in the absence of a numeric product identifier. ASIN (Amazon Standard Identification Number): A 10-character alphanumeric code used exclusively by Amazon, although it is often based on the product’s GTIN. We talk about this more in the next section (click here to skip ahead). There are many advantages to using unique product identifiers. However, the main reason to use them is that they’re often a requirement when it comes to product listings. That is, if you want to do business on Amazon, eBay, Google, and many other marketplaces, you need them. More conversions: That’s right, using product identifiers increases sales. According to Google, merchants who use GTINs have seen conversion rates increase by as much as 20%. Preloaded listing data: Some marketplaces like eBay can automatically fill in your product listings based on the identifiers, which saves you time, especially if you sell a wide range of products. More exposure for ads: According to some sources, including a GTIN can increase the visibility of product ads by 40%. SEO: Including a product identifier on your product page will likely increase its organic rankings on most search engines (and eBay’s Best Match). Generally speaking, the more unique information you can provide on a product page the better. While there usually isn’t a great deal of search volume that exactly matches product identifiers, most search algorithms are well-equipped to associate UPIs with specific products. Further, by including the unique product identifier on your product page, search engines are going to have an easier time matching your products with relevant search queries. Unique product identifiers may not help your online store skyrocket into a billion-dollar behemoth, but as a foundational element, they shouldn’t be ignored. Failing to adhere to GS1 standards damages your company, not just in limited markets, but in your exposure, as well. That’s why the first step to proper inventory management and ecommerce success is satisfying this initial gatekeeper. What product identifier does Amazon use? What about eBay? This section reveals the product ID requirements for all the big ecommerce platforms – all in one place. What product identifier does Amazon use? Will your SKU work on eBay? Can you sell a product with an EAN at Walmart? As if assigning a multi-digit number to all your products was not confusing enough, you have to make sure you have the right multi-digit number for each selling channel. You’d need some kind of guide to tell you which ecommerce platforms use which product identifiers. That’s a novel idea! Below, we list the most popular ecommerce channels — Amazon, eBay, Etsy, Rakuten, and more — and reveal all of their requirements for product identifiers. Simply find the channels you‘re interested in selling on, and we’ll tell you what product ID you need. ASINs are not certified by the GS1 for universal standardization, and in fact, they’re not even universal within Amazon — each country’s Amazon marketplace may use different ASINs for the same product. But, if you want to tap into the power of Amazon, there’s no avoiding them. Some products already have registered ASINs, but if you’re selling original products, you can quickly create your own. However, to register a new product with an ASIN, you need a UPC, EAN, or ISBN. That makes it a bit tricky with an extra step, but on the plus side, you’ll have one of those GTINs for usage on other channels. New listings on eBay require either a GTIN, MPN, or Brand; sometimes more than one, sometimes all three. It all depends on the product category. For example, Pet Supplies require a GTIN and Brand, but not an MPN; Consumer Electronics require all three; Tickets and Passes don’t require any. It can get pretty specific, so refer to eBay’s Product Identifier Chart to see what each category needs. Keep in mind, nearly all products (except tickets and events) require at least a GTIN. It might not be the best time to talk about eBay’s product identifiers, as they’re currently in a transition period for existing listings. They’re trying to standardize their mammoth product offerings into a uniform organization system to benefit buyers and sellers alike. Unfortunately, that’s no easy feat, and the transition is expected to last until 2019. The good news is that this update will be released in phases with the first phase published in Spring 2018. This gives us a clearer idea of their product identifier requirements and also allows sellers to make updates slowly. The second phase was released in Summer 2018 with 13 more categories for sellers to update. The most recent update was released in Fall 2018 with 22 more affected categories. Sellers will have until February 2019 to update their listings. Go to Seller Hub and My eBay to preview which listings require updating. Update the necessary listings before the end of the current quarter, as eBay starts requiring sellers to comply to the changes at the beginning of the next quarter. Not complying with these new catalog requirements could mean eBay will not show your listings to buyers. Product lines with multi-variations (multi-SKU) will require a GTIN (UPC, EAN, or ISBN) for each variation. We’ll update this entry when eBay reveals new information, so check back often. In the meantime, expect that all existing product listings will require a GTIN. If you don’t have the GTIN for your eBay products, now’s a good time to find them, so you’re prepared. Etsy has no standardized product identifier requirements, with an option to enter product SKUs for your own convenience and organization. That’s not to say you don’t need them; the implication is that you’ll use whichever one you prefer, not none at all. The official stance on product identifiers for Sears is a little ambiguous, but according to the Sears Marketplace Vendor Information Guide (updated Feb. 2018), “UPCs are strongly encouraged and may be required in certain categories.” Another reference from Sears Commerce Services says the number of categories that use UPCs are “a good portion,” so your best bet is to adopt UPCs unless you’re only selling in one category of products that don’t need them. The FAQs for the Walmart Marketplace clearly state that sellers must have a GTIN for their products — and not just any GTIN, but one certified by the GS1. This includes UPCs, ISBNs, and ISSNs, with another source adding EANs. Walmart states explicitly that it does not accept MPNs, Model Numbers, or stock SKUs. Newegg Marketplace is pretty lenient when it comes to product identifiers, accepting the two major GTINs and even Manufacturer Part Numbers since they deal with individual computer parts. According to Jet’s Catalog & Listings Guidelines, Jet requires “at least one, but preferably multiple unique identifiers,” from among UPC, EAN, ISBN, and even Amazon’s ASIN. The reason is they only want one listing per product in their catalog. These are not to be confused with the Jet Browse Node ID numbers, which are for category mapping and only used within Jet. Assigning the right product identifier to the right channel takes some getting used to, but ultimately it benefits everyone. Each channel chooses the ID that’s easiest for them to categorize. The better the channel can organize your products, the more efficient customer searches are. In short, complying with the channel’s product identifier guidelines means your products will show up in the right places, and more often. That’s a win for you, the channel, and the customer. Most online retailers like Amazon and eBay require identification numbers like UPCs for products. This section explains everything you need to get them. Global product identifiers like GTINs (including UPCs) are the initial gatekeepers for most of the big ecommerce markets, including Amazon. Before you start selling on these sites, you’re going to need this magical number just to get through the door. Luckily, it’s not as difficult as it may seem. Because GTINs all stem from the GS1, the organization has a standardized system any business can use, from downtown Philly to uptown Hyderabad. In this section, we’ll explain how to acquire a GTIN (specifically UPCs) for your products, whether finding a preexisting one or obtaining an original. Just in case this was too obvious and flew past you, your first step should be to check the packaging for the barcode and identifier number. You can determine the type of GTIN by the number of digits and formatting. Because it’s a standardized system, it’s easy to access the global database of GTINs from anywhere. An excellent place to start for general GTINs is the GS1 Company Database. As long as you know the manufacturing company’s name, it should be easy to find it. The free tool is available for simple searches, but if you’re doing a high volume of searches or want extra perks, you might want to invest in the GS1 US Data Hub, starting at $500 annually with price breaks for additional members. Because GTINs are universal, the same product sold on two different sites still has the same number. That means to find the GTIN for your product, you can reference any other company selling the same product. Just be mindful of sites like Amazon that have their own unique product identifiers (ASIN). Make sure the details specify which product identifier they use and focus only on the GTINs: UPC, EAN, JAN, ISBN, and ISSN. If all else fails, contact the manufacturer directly. Perhaps there are exceptional circumstances that kept the GTIN from the other databases, or maybe there just isn’t one. Either way, a manufacturer should have more details, as it’s primarily their responsibility. If you’re selling or manufacturing exclusive products, you’ll need to acquire a global product identifier yourself, directly from the GS1. Any company can apply for their own prefix number and unique product numbers for whatever they’re selling. However, it’s not cheap and includes both a hefty initial fee and an annual renewal fee on top. To buy UPCs through GS1, click here. For a complete list of the services they provide along with the barcodes, click here. For price lists on more than 1,000 items, click here. Apply for a GS1 Company Prefix. This is the same set of numbers that start off the UPC on all your products (between 6-10 digits), and it requires an annual fee to stay active. Assign a Unique Product Number. You’ll need separate numbers for each variation of your product. For example, a small blue shirt, a small yellow shirt, and a large blue shirt will all have different numbers. Determine How to Display the Barcode. Decide where and how to include the UPC barcode on your product packaging (or other alternatives for digital products). Order Your Barcodes. Get the actual artwork of the barcode, which must be high-quality to work with scanners. One additional concern GS1 mentions is to beware of third-party barcode sellers. These companies may offer discounted rates, but since the UPC doesn’t go through the proper regulatory channels, it may not work on major online retail sites. Keeping track of all your products’ unique identifiers is almost as involved as tracking them down or acquiring them, especially if you have a wide product line. Make sure to keep your information organized, typically with a shared spreadsheet or equivalent document. That’s a lot of numbers you’ll need to keep handy, and you’ll reference them often; taking a little extra time in the beginning to initiate a more efficient organization system will save time in the long-run. For inventory management, SKUs are your best friend. In this section, we’ll discuss how they help and will share best practices for making your own SKUs. No discussion of inventory management is complete without a thorough review of SKUs. These codes, similar to GTINs, can do wonders for organizing inventory and making sure your ecommerce sales ship out smoothly. But despite their usefulness, many online store owners are still in the dark about what they do and how to make them. The acronym SKU, pronounced just like “skew,” stands for Stock Keeping Unit. They are alphanumeric codes, ranging anywhere between 6 and 18 characters, to help individual companies keep track of their inventory. SKUs can be as elaborate as the company wants, even expressing details such as the brand, category, or product variations like size and color. They are often printed alongside the product’s barcode and GTIN (the UPC). How are SKUs different from GTINs? SKUs are assigned internally; GTINs are designated by the GS1 organization and follow global standards. SKUs can be made however the company wants; GTINs must follow specific procedures. SKUs can include letters alongside numbers; GTINs are comprised of only numbers. The SKUs for the same product can be different depending on the company; GTINs are always the same for all products, regardless of the company. The main difference between SKUs and GTINs is that the central purpose of SKUs is internal use within an organization, while GTINs are primarily for external regulation. Above all else, SKUs make your inventory management more efficient. Specifically, SKUs reduce mistakes in the warehouse, which in turn improves profits. Considering how much you lose with returns when shipping the wrong items — an avoidable incident — adopting a SKU system usually leads to saving more money right out of the gate. For ecommerce, they also make it easier to keep track of stock levels so that you don’t run out too soon, or worse, oversell. Aside from reducing errors, SKUs speed up the whole process of shipping out products. Because most inventory software implements SKUs, you can efficiently use a scanner to bypass much of the searching, tracking, and digitizing of inventory management. Unlike GTINs that are computerized, SKUs can be designed however you want. You can make the code simple enough for your staff to understand at a glance. That makes it easier for warehouse workers to find the right product, particularly variations like different sizes for clothing. This helps warehouses run much more efficiently, allowing workers to pick and pack items for shipping much more quickly and accurately. Finally, SKUs are a requirement for a lot of online sales channels, including Amazon. Implementing a SKU-based system ensures you can expand to more online sales channels. You can make SKUs any way you want — you could use your family’s birthdays as SKUs if that’s most convenient for you. However, rather than going at it blindly, other ecommerce experts have discovered effective strategies for optimizing SKU, which we share below. It’s easier to understand SKUs if you break them up into standardized sections going from general to specific. For example, say you want to use a 12-character SKU: the first 3 characters could represent the product category, the next 2 the brand, the next 4 the item type, and the last 3 other variants like the color. If you’re relying more on sight than machines, dashes between the different code sections can make it easier to scan for the right product. In other words, start off your SKU with a standardized code for your most general categories like the brand, department, product category, store locations — whatever is most comfortable for you. Also, don’t start your SKUs with zero because it can cause issues with excel docs and different types of software. The beauty of SKUs is that you can make them comprehensible for you. For example, you can use S, M, L, and XL right in your SKU to denote sizes, or R, BK, and BL for red, black, and blue. Avoid ambiguous codes that are easy to forget. Special characters like *, <, >, or / can cause problems with certain software or apps, so it is best to avoid them. If you’re using an Excel spreadsheet, some special characters trigger alternative functions, making them harder to organize. Even though the number doesn’t technically mean anything, adding an empty sequential code like 001, 002, etc. brings a few benefits. First, it helps you organize products chronologically by when you started selling them. More importantly, though, they help you plan for the future: if any upgrades or new models for an item type come up, you can quickly add them to your system by bumping up the end code. It’s tempting to carry over another preexisting code like manufacturer’s or supplier’s codes, or even the GTIN. This seems reasonable at first, but it throws your entire system off if you change suppliers or manufacturers. It’s better to create an original code that can scale according to your needs. One of the best parts about SKUs is how customizable they are. If this article seemed complicated or daunting to you, feel free to simplify the process however you like. Brands selling only a few products can get by on small SKUs of six characters. Just make sure to plan ahead when designing your code. Leave ample room for adding new products and their codes.